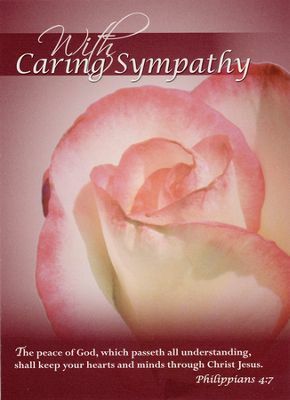 Send words of comfort to grief stricken loved ones with a Sympathy card from Heartland Wholesale. Cards feature beautiful floral images paired with faith inspired sentiments and KJV Scripture. Full color artwork, inside and out; 12 cards, 3 each of 4 designs; measure 4.5" x 6.5". Made in USA!